After you take some great pictures on your Samsung Galaxy S8, you need to figure out what to do with them. Although you can send an image immediately to another site or via email, it will likely be the exception. Transfer them to your PC to your photo album application by sending them with email. Store them on an Internet site, like Google Photo or Flickr. Email or text them to your friends and family. Unlike many regular phones with a built-in camera, the Galaxy S8 makes it easy to access these choices. You need to determine the approach you want to take to keep your images when you want them to stick around. The rest of this chapter goes through your options. The Gallery Home screen shows how the app first sorts the images on your phone into folders, depending upon when they originated. 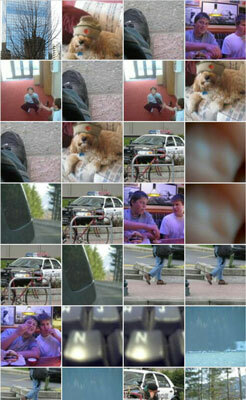 All your photos from the Camera app are placed in files sorted by date. The application takes a shot at grouping them when a series of pictures or videos are taken about the same time. In addition to sharing photos from your camera, your Galaxy S8 phone allows you to use a Gallery photo as wallpaper or as a photo for a contact. And if the fancy shooting settings in the Camera application aren’t enough, you can wrangle minor edits — as in cropping or rotating — when you have an image in the Gallery application. Slideshow: This displays each of the images for a few seconds. You can not only set the speed for transition, but also add music and select among several image transitions. Crop: Cut away unnecessary or distracting parts of the image. The application creates a virtual box around what it considers to be the main object. You can move the box around the image, but you cannot resize it. You then can either save this cropped image or discard. Set As: Make this image your wallpaper or set it as the image for a contact. Print: This option allows you to print if you have set up a local printer to communicate with your phone either through Wi-Fi or Bluetooth. Rename: These options allow you to rotate the image right or left. This is useful if you turned the camera sideways to get more height in your shot and now want to turn the image to landscape (or vice versa). Details: See the information on the image — its metadata, which is fixed and cannot change. Not all the images on your phone are keepers. When you want to get rid of an image, press and hold the image you want to delete. In a second, a checkbox with the image selected will appear. Also, the links appear at the top to either Share or Delete. If you want to delete this image, tap Delete. The camera verifies that this is your intent. After you confirm, the image goes away. If you want to delete more images, you can tap all the images you want to make go away. It is selected if it has a green checkmark on the image. Tap away, then hit delete. It will confirm with you once. Tap again and these images are gone forever. The photos you delete are gone forever, for-ev-er. If you have inadvertently deleted the only copy of an image from a PC or a digital camera, you know it’s not a pleasant feeling, so be careful.